Throughout the past few weeks, I have been researching lesser known companies that give back with the proceeds from the items that they sell. I, like many other individuals, love to see that my quality purchases can help people and in return that makes me feel good. Through my research I came across a company with a mission that I could really stand behind... HALF UNITED. One of the worst growing epidemics in this world is the global hunger epidemic. It affects over 700 million people worldwide, and it doesn't discriminate by race, age, education, or location. Many companies and corporations are trying to combat the epidemic, but sometimes it takes the little people too. Back in 2009, a brother/sister duo, Christian and Carmin Black, decided to step up and set out to change the lives of people in need. With only $200, their passion to end the global hunger epidemic resulted in the formation of HALF UNITED. Their idea was to give half of their profits to feed people in need. Deemed "Fashion with a cause", HALF UNITED sells jewelry and shirts, and with each product that is purchased from HALF UNITED, the purchase provides 7 meals for children in need. Seven years after it's formation, HALF UNITED has stayed true to their idea and customers have provided over 200,000 meals for children in need in the USA, Fiji, Cambodia, Liberia, Nepal and Haiti! Not long after the formation of HALF UNITED, the company's most recognizable piece was born. 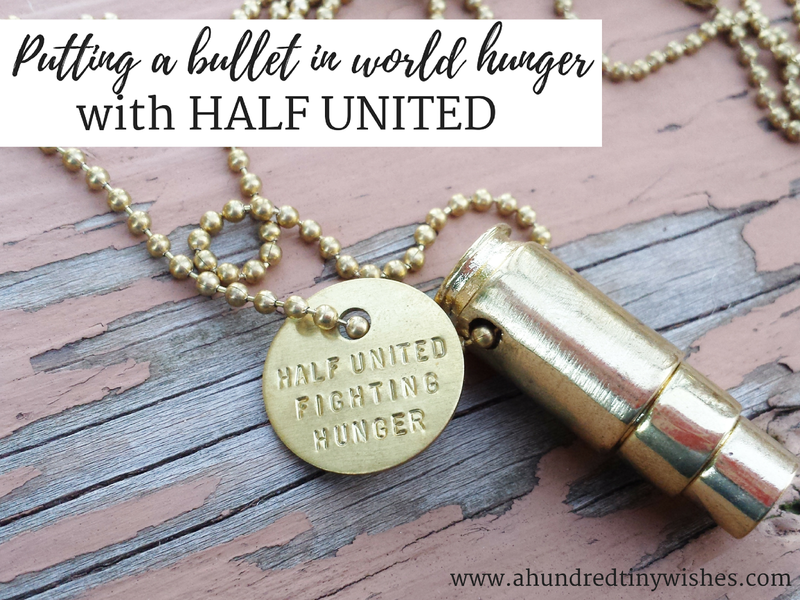 The “Fighting Hunger” necklace issues a statement: it's bold proclamation of one's stance against the hunger epidemic and happens to be made from a REAL bullet. 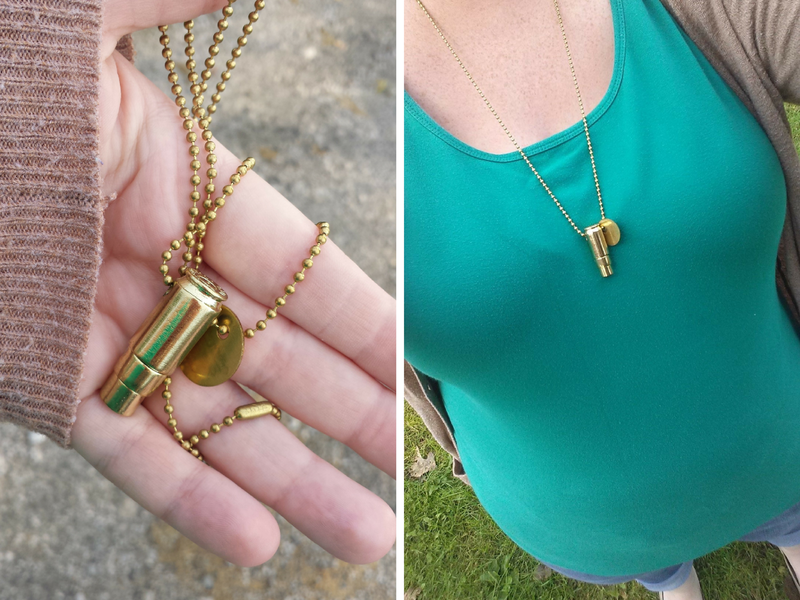 The bullet necklace is one of those rather unique symbolic pieces of jewelry that everyone needs to have. 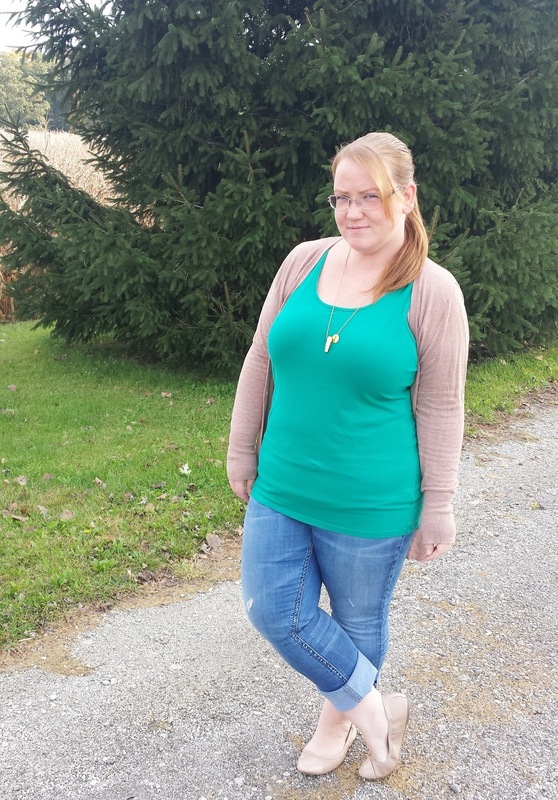 Each necklace incorporates one to three recycled bullet casings- and comes in solid rose gold, silver, and gold, colors with solids, and now you can customize the solids and pick a chain: curb, oval, round cable, or ball chain. It truly encompasses the idea of silently putting a bullet in world hunger. 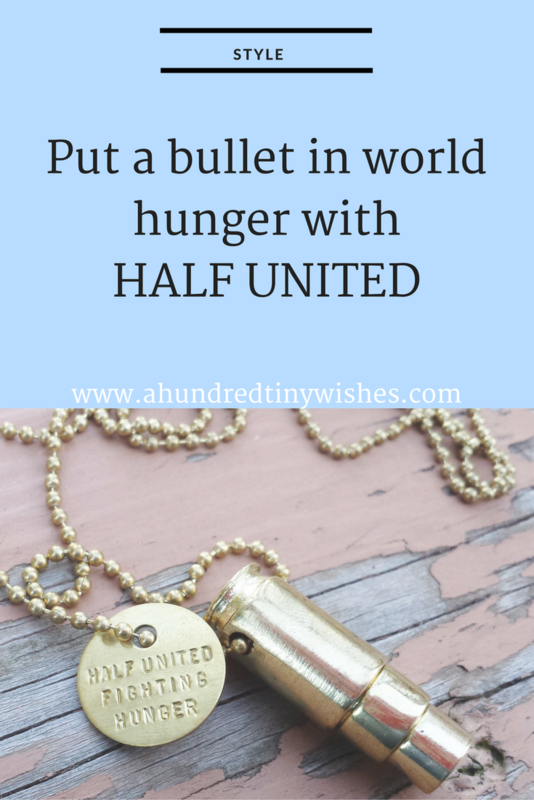 HALF UNITED also sells a variety of other necklaces, bracelets, and earrings that incorporate re purposed bullet casings. If you are interested in joining the fight against world hunger, you can use the code WISHES25 for 25% off your next purchase! Have you ever heard of HALF UNITED? What do you think of their fight? Disclosure: This is a Sponsored Post. 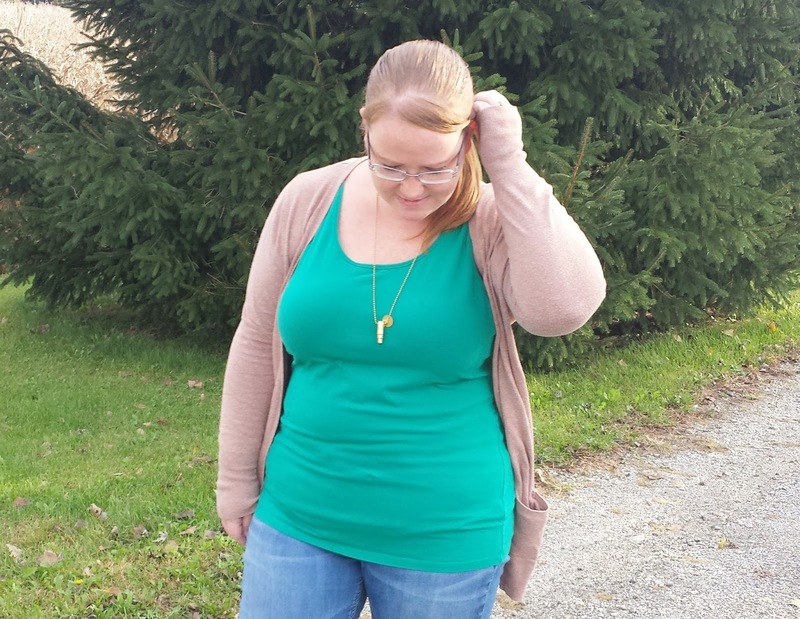 I was given the "Fighting Hunger" bullet necklace shown in the photos above in exchange for an honest review. The opinions I have expressed in this post are 100% my own.